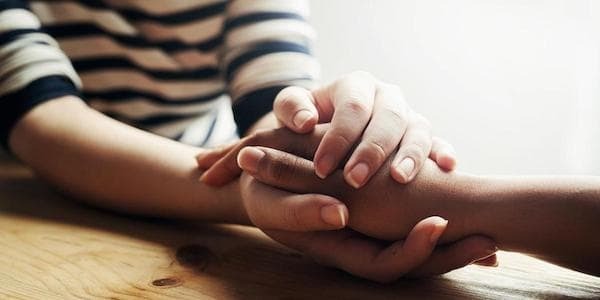 Compassion gets a lot of attention in positive psychology, and for good reason – it’s a major concern of many religious and philosophical leaders, including the Dalai Lama and Pope Francis. In addition, research has shown that compassion can have amazing benefits. Like the ripple created by throwing a pebble in a pond, one act of compassion can have a ripple effect that may reach around the world. Compassion is considered a vital quality by many people, and now it has its own therapy: Compassion Focused Therapy. 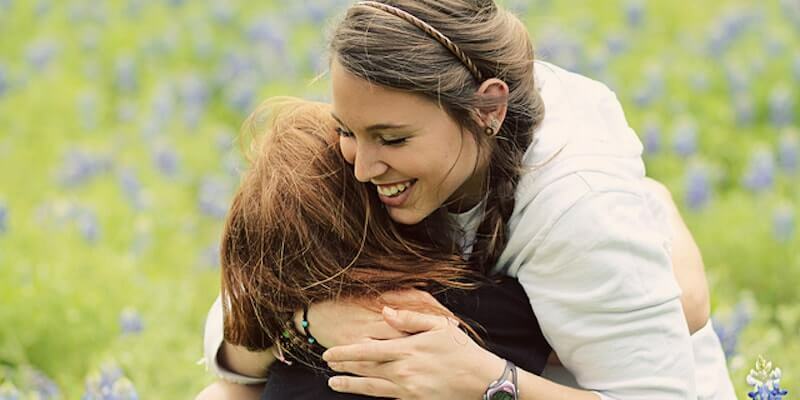 This therapy emphasizes the importance of applying compassion – for the self, for your loved ones, and for strangers – for living a healthy and happy life. 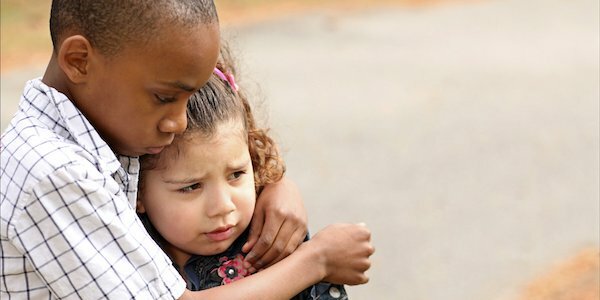 To learn more about Compassion Focused Therapy and the exercises and techniques that can help you be a more compassionate person, read on. “an evidence-based form of psychotherapy that draws upon our evolved capacity for compassion to facilitate the alleviation of human suffering” (CMF-USA). CFT was developed by Dr. Paul Gilbert, a psychologist from England who believed that compassion (both self- and other-focused) could be the key to relieving intrusive feelings of shame and self-criticism (Gilbert, 2009). So, what sets Compassion Focused Therapy apart from other types of therapy? Surely all therapies have some kind of component related to compassion? o CFT draws from a range of disciplines, including evolutionary psychology, biology, neuroscience, and Buddhist thought; most therapies are more firmly based in one discipline or philosophy. o This is the view that the mind is organized in such a way that some mentalities can be neglected while others flourish or take control, that harmful or maladaptive links can be made, and, on the flipside, improving one mentality or making new links can have a significant impact on others. With these features in mind, let’s take a look at some of the best CFT-based exercises. There are many Compassion Focused Therapy exercises to be found online. These exercises are pulled from a manual from the CFT founder himself, Dr. Paul Gilbert. The PDF can be found here and after each exercise the page where you can find it will be noted. To practice the soothing rhythm breathing exercise, first make sure that you are sitting comfortably with both feet flat on the floor, about shoulder’s width apart. Rest your hands on top of your legs and close your eyes or look down at the floor. Let yourself have a gentle facial expression, like a small smile. Begin to focus on your breathing. Allow the air of each breath to come down into your diaphragm and feel it move in and out as you breathe. Play with the speed of your breath until you find a comfortable, soothing rhythm of breath. You will likely find that your soothing rhythm is about three seconds in-breath, a slight pause, and three seconds out-breath. Continue focusing just on your breathing, through your nose, and in your peaceful rhythm. Next comes a grounding moment. Turn your attention to your body, sensing the weight of your body resting on the chair and the floor underneath you. Let yourself feel held and supported by the chair. If you find yourself stuck on noticing your breathing, let yourself focus on an object instead. You can hold something like a smooth stone or a softball, something that feels good to hold. Focus on the object as well as your breathing, and note the way it feels to hold the object. When you’re ready, slowly open your eyes and bring yourself back to the present moment. 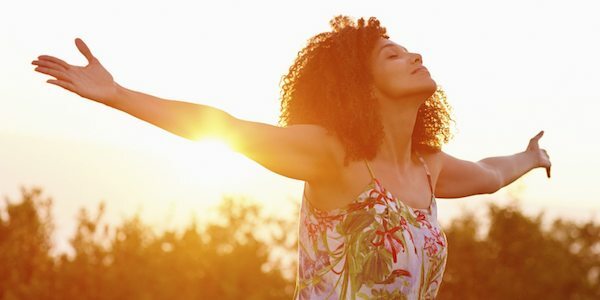 A small stretch and a deep breath can help you ready yourself for the rest of your day. Click here to see a longer description of this exercise on page 38. This exercise builds on top of the soothing rhythm breathing you just read about. To begin, bring yourself to a calm and soothing focus on your breath. Next, focus on how your legs feel. Imagine that all the tension in your legs is flowing down through your legs, into the floor, and away. Let the tension go. As you breathe in, notice the tension, and as you breathe out, imagine the tension flowing away. Imagine your legs feeling grateful that the tension is leaving. You may find it helpful to slightly tense your leg muscles as you breathe in, and allow them to relax as you breathe out. Move your focus to your body, and repeat the process of breathing in and noticing the tension, this time in your shoulders, and breathing out and allowing it to flow away into the floor and away. Feel your body’s gratitude as you empty it of tension, and enjoy the feeling of being kind to your body. Focus on the tips of your fingers next. Imagine the tension stored there and allow it to be released, through your hands, your wrists, your arms, elbows, and shoulders, and finally all the way through your body to the floor. Next, move on to the tension in your head, neck, and forehead. Allow them to relax with each breath, and visualize the tension running down through your shoulders, your stomach and your back, all the way down through your legs and into the floor. Finally, focus on your whole body. Each time you breathe, focus on the word “Relax.” Imagine your body becoming a bit more relaxed with every breath. Practice this breath for a few minutes. End the exercise by taking a deep breath, moving your body around a little, and notice how your body feels now, especially in comparison to how it felt when you began. Allow yourself to be grateful for your body, and for your body to be grateful for the special attention and release it just received. When you are ready, get up and go about your day feeling a bit more relaxed. You can read this exercise in full in this PDF on page 40. Begin this exercise with another session of soothing rhythm breathing. Create a sense of calmness, safety, and peace within yourself. When your sense of calmness, safety, and peace is in place, imagine looking around yourself. What can you see? Your safe and peaceful place may be a beautiful forest with leaves dancing on the breeze. It may be by the ocean, hearing the gently crashing waves rolling in and out on a soft, sandy beach. It might be a special place for you, like your grandmother’s kitchen when you were a child or a special vacation place. Wherever this place is, focus on what you can feel. In your safe place, you may feel the sun on your face, a breeze lifting your hair or caressing your cheek or the heat of a campfire burning. You may feel sand between your toes or the ambient warmth of a cozy kitchen. Next, think about what you can hear. You might hear rolling waves or seagulls crying at the beach. You might hear the fire crackling or the sounds of your grandmother baking. Perhaps you hear the soft cries of the birds in the trees or the rustling of leaves in the breeze. Now focus on what you can smell. Maybe you smell the fresh scent of pine, the salty smell of the ocean, the delicious scent of apple pie baking in the oven, or the smell of a crackling log fire. Allow your body to relax – your whole body, which includes your face. Let your face show your pleasure at being in the safe space. Finally, imagine that your safe place actually finds joy in your presence as well. Feel how your safe place rejoices when you arrive, and feel your own pleasure at being there mirrored back to it. Create an emotional connection with this place, and return to it whenever you need to feel safe, loved, and at peace. Read more about this exercise on page 43 of this PDF. This exercise also begins with your soothing rhythm breath. Bring yourself to a sense of calm and allow yourself to simply breathe and simply be. When you’re ready to move on, imagine a color that you associate with compassion, kindness, or warmth. There are no rules on what color this can be – it will likely be different for everyone, it only needs to remind you of compassion. Imagine this compassionate color surrounding you. Once it has surrounded you, imagine it entering through your chest, near your heart, and slowly spreading through every inch of your body. If this imagery doesn’t call to you, try imagining a mist or a light made of this color that slowly drifts or flows through you. As the color permeates your body, focus on this color as one of wisdom, strength, warmth, and total kindness. Create a facial expression to match the feelings of this color, and make sure to keep this expression on your face as you practice this exercise. As you imagine the color flowing through you, focus on the feeling that this color’s sole purpose is to help you, strengthen you, and support you. Allow yourself to feel supported and loved. You can read the full exercise here, on page 44. The compassionate self is a vital sense of self to develop, both for your compassion for others and for yourself. Once again, begin with your soothing rhythm breathing. When your body has slowed down a bit and you feel ready to begin, imagine that you are a deeply compassionate person. Think of all the qualities you would ideally have as that compassionate person. Focus on your desires to become a compassionate person and to be able to think, feel, and act compassionately. Imagine yourself with each of the qualities of compassion – wisdom, strength, warmth, and responsibility. First, imagine yourself with a wealth of wisdom. This wisdom comes from your understanding about the nature of life, of our minds and bodies. Spend some time thinking about how much goes on inside of us which is not our fault. Next, when you have a grasp on how it feels to have this wisdom, imagine having a compassionate strength. Allow your body posture to change in order to match how this compassionate strength feels. Imagine yourself as a person that understands your own difficulties and those of others in a non-judgmental way, and has the confidence to be sensitive and the tolerance to withstand difficulties. When you have added a sense of strength to your wisdom, move on to focusing on warmth. Imagine that you are warm and kind, to yourself and to others. Create a facial expression to match, and try to keep it on as you work through the exercise. Imagine yourself speaking to someone kindly, and note the tone of your voice. Imagine reaching out to someone with warmth and feel what that might be like. Finally, imagine yourself with a sense of responsibility. Imagine that you have no interest in condemning or blaming others or yourself and that you only want to do the best you can to help yourself and others through a difficult situation. Hold on to your compassionate facial expression and warmth and focus on the experience of committing yourself to a compassionate path. Remember that it doesn’t matter if you feel you actually have these qualities or not, just imagine that you have them. It may be difficult to imagine yourself with these qualities, but no one gains them overnight – like anything else, being wise, strong, warm, and responsible comes with time and practice. To read more about this exercise, click here and scroll to page 46. To try this exercise, sit somewhere quiet where you won’t be disturbed and begin to focus on your breathing. Think about a time when you felt very kind and caring towards a person or a beloved animal. Try not to choose a time when that person or animal was very distressed because then you are likely to focus on that distress instead of the kind, compassionate feelings for him or her. Next, focus on the desire to help the person or animal, and the feelings of kindness that will guide you to help. Remember that in this exercise it is your intentions that are important, not how the person or animal responds. Bring to mind a specific time when you felt compassionate towards him or her. Imagine yourself expanding, as if you are becoming calmer, wise, stronger, and more responsible, and able to help him or her. Pay attention to your body as you remember how it felt to be kind. Spend some time expanding with warmth in your body. Notice the genuine desire for this person to be free of suffering and to flourish. Spend a minute or two thinking about the tone of your voice and the kinds of things you said, or the kinds of things you did or wanted to do to help. Spend another minute or two on thinking about how good it felt to be kind to him or her. Finally, focus only on your desire to be helpful and kind: the sense of warmth, feelings of expansion, your kind tone of voice, the wisdom in your voice and your behavior. When you have finished this exercise, you may want to take some notes about how this felt for you. To see this exercise in full, open this PDF and scroll to page 48. This exercise also requires a quiet place where you won’t be disturbed. Try to create a sense of being a compassionate person, as you did in the previous two exercises. Some days this will be easier than others, but hold on to even the slightest glimmer of feeling like a compassionate person. Remember that it is your behavior and intentions that are important, rather than how he or she will react. Be gentle, take your time, and allow yourself to focus on the desires and wishes you create in yourself for this other being. It may help to picture them smiling at you and sharing these feelings. Spend some time simply focusing on this genuine desire of yours for the other to be happy. You can find this exercise on page 48 of this PDF. Memory can be a great tool for provoking and practicing compassion. Begin with your soothing rhythm breathing and practice this for a minute or two. Once you feel that your body has slowed down a bit, prepare for the exercise by allowing your body posture and facial expression to become compassionate. Feel free to play around with postures and facial expressions, but whatever expression and posture you go with, they should be gentle. Once you are ready, think of a time when someone was kind to you. Like the previous exercise, you shouldn’t think of a time when someone was kind to you because you were in distress; the point of this exercise is not to focus on your distress, but on the desire to be kind and to help others. Put on your compassionate expression and adopt the compassionate body posture you have cultivated as you remember the compassion you received. Recall how it felt to receive that kindness. Spend a minute thinking about the expressions of the person who was kind to you and mimicking them, if that helps. If you’re having trouble remembering them, imagine the person moving toward you with a smile on their face or their head tilted to one side. Focus on the kinds of things this person said, as well as the tone of their voice when they spoke. Spend one minute on this. Next, focus on the feeling of the emotion in the person – what they really felt for you at that moment. Focus on that for another minute, if you can and would like to. Finally, focus on the entire experience. Think about whether they touched you in a friendly or comforting way, or whether they helped you in some other way. Allow the experience of gratitude and joy in being helped to grow in you. Remember to keep your expression as compassionate as you can. Spend a few minutes in this step. When you are ready, let the memory gently fade. Come slowly out of the exercise, and take some notes about how you felt before, during, and after the exercise. You can find this exercise on page 49 of the PDF. This exercise can be focused on one of two different “selves.” You can do both if you wish, but focus on only one at a time. First, you can focus your compassion on your troubled self. It will help if you have completed the exercise in which you imagined yourself as a completely compassionate person, full of wisdom, strength, warmth, and responsibility. First, come to a quiet and contemplative place. Notice how your body feels, and remember to focus on your facial expressions. When you feel you have engaged your compassionate self, move on to the first step. Imagine that you are watching a video of yourself like you’re watching a movie. You watch yourself get up in the morning, moving around your bedroom, and preparing yourself for the day. Be sure to keep your compassionate and kind position as you watch this “home movie.” Notice how the person you are watching is troubled by self-critical thoughts or feelings, and be in touch with their struggle – but don’t get dragged down into it. Keep your compassionate self forward, looking through the eyes of compassion and with the intention of being warm, kind, and helpful. If you sense your compassionate self wandering away, let the imagery fade and go back to the first exercise: finding your soothing rhythm breath. Recapture your compassionate expression and upright, confident posture and begin again. This exercise can help you to adopt a more objective view of yourself and your struggles – a very difficult thing to do. It can also help you develop your own intuitive wisdom and abilities to heal, to become more accepting of yourself. For the second version, the focus will be on your anxious self. Whether you have a diagnosis of anxiety or not, you likely struggle with some anxiety at one point or another. This exercise can help you tap into your compassion for your anxious self. Like you did with the troubled self, spend a few minutes engaging your compassionate self. Feel yourself slowing down, and adopt your compassionate expression. Next, imagine yourself in a situation where you become anxious. Remember to keep your compassionate position. Look at your anxious self through the eyes of your compassionate self and practice compassion for the person that you see. Understand and empathize with your anxious self, and extend compassion to him or her. Imagine how you might like to help that person, what you might want to say to help them deal with their anxiety. You might say something to validate their emotions, or you may say something encouraging to help them recognize their ability to pull through the anxiety. Whatever you say, make sure it’s kind and helpful. Imagine time gradually moving, and see yourself gradually reducing your anxiety until enough time has passed that the anxiety is all gone. Get a sense of how it feels to have come through an anxiety episode, and offer your anxious self some encouragement and understanding. Recognize the courage that it took your anxious self to get through the episode. Later, when you’re in a situation that is causing your anxiety to spike, practice switching to your soothing rhythm breath. Spend a few moments slowing down, reminding yourself of your compassionate self, and seeing yourself through the eyes of compassion. For more information on his exercise, see page 50 of the PDF. The final exercise in this PDF is Creating a Compassionate Ideal. It will be helpful to complete the other exercises before moving on to this one, especially the initial exercise, the exercise in which you cultivate a compassionate expression, and the safe place exercise. Engage your soothing rhythm breath and adopt your compassionate expression. Recall your safe place, with all the sights, sounds, smells, and feelings that come with it. Remind yourself that this is your special place and that it delights in your presence. If you wish, this is a good place to create and “meet” your compassionate self. Create a compassionate vision of yourself. It may be created out of the mist in front of you, or it may snap into existence once you have the idea in mind. It may be walking toward you with a smile. How would you like your ideal caring, compassionate image to look or appear? Would you want your ideal compassionate image to feel/look/seem old or young; to be male or female (or non- human looking, e.g. an animal, sea or light)? How would you like your compassionate image to sound? What would be a compassionate voice tone for you? Are there any other sensory qualities that would come with your image, such as colors or sounds? How would you like your ideal compassionate image to relate to you? What would help you sense their commitment and kindness for you? How would you like to relate to your compassionate image? Remember that your compassionate image wants you to be free from suffering and to flourish. The compassionate self understands that we are all just doing the best we can, and it understands that the emotions that can pop up in our minds are not our fault. Practice this exercise as much as you need to tap into your compassionate self and surround both yourself and others with love, acceptance, and compassion. To see this final exercise, click here and scroll to page 51. In addition to the previous exercises, there are some Compassion Focused Therapy worksheets and handouts that can help you cultivate compassion. Two of these worksheets are listed and described below. Although this resource is more of a handout than a worksheet, it is a great way to learn about compassion focused therapy and the important role that compassion plays in our lives. o Threat system – motivation is to simply survive, attention is threat-focused, driven by fear, anxiety, thoughts of danger, and the fight or flight system. o Drive system – motivation is to achieve/win, attention is given to goals and finding the advantage; it is concerned with motivation, arousal, and focus. o Care-giving system – motivation is to look after or soothe, attention is on empathy to other’s distress or pain; it is concerned with caring, soothing, safety, and calm. We are all born with each system in place, ready to go, but our environment affects whether we develop, use, and maintain the non-survival based systems (drive and care-giving). The goal of CFT is to help individuals develop their care-giving system, which helps them to be at peace with their thoughts and comfortable in their own head. The care-giving system can activate non-judgment, strength, warmth, empathy, wisdom, kindness, and moral courage – all linked to compassion. This handout will be available for download soon. This worksheet will walk you through the process of forming compassion for yourself. It might seem like an unnecessarily in-depth process, but this makes sense when you consider how deeply some of the self-criticisms are embedded in ourselves, and how early in our lives they set in. The worksheet follows a “problem → coping strategy → unintended consequences” format, but it focuses on the importance of compassionate processes as well. The first step is to identify the historical influences on the shame, self-blaming, and self-criticism behaviors that you experience today. This space encourages you to dig up any emotional shame memories, or early memories of abuse or trauma that led to shame and self-blame. In the “Key Fears” section, you must write down the fears that they struggle with most in terms of shame, blame, and criticism. There are internal and external fears. Internal fears relate to anxiety, panic, shame, depression, or rage. External fears relate to the power the external world has over you, including rejection, shaming, and the potential to hurt you (Gilbert & Procter, 2006). Next, the worksheet presents the “Safety / Defensive Behaviors” box. This is where you are to note the defensive measures he or she takes to avoid getting hurt and minimize risk. Internal defensive behaviors are used to keep the self from experiencing difficult internal situations or emotions and can include dissociation, substance misuse, harming oneself, and constantly reminding oneself of one’s faults, flaws, and weaknesses. External defensive behaviors are intended to help the individual avoid harm from others, and include blaming the self, silencing the self, being submissive and non-assertive, distrusting others, and keeping others at a distance (Gilbert & Procter, 2006). Finally, the worksheet displays the cyclical nature of safety and defensive behaviors in relation to the unintended consequences and how people relate to themselves. “Unintended consequences” refer to the outcomes from these safety and defensive behaviors that the individual does not foresee or intend to produce. These consequences can be things like self-harassment, exhaustion, inability to be at peace with oneself, feelings of emotional isolation or feeling like an “outsider,” or never learning or considering what one’s own needs are (Gilbert & Procter, 2006). These unintended consequences can have a profound and negative impact on how one relates to oneself. People may attack themselves for bringing about these unintended consequences, leading to even more safety / defensive behaviors, which also result in unintended consequences – it is easy to see how the cycle perpetuates itself. In the “Self-to-Self Relating” box, you should write down how the unintended consequences of your safety and defensive behaviors make you feel about yourself, and how these feelings lead you to more unproductive safety and defensive behaviors. This worksheet can be an emotionally challenging one to complete, but it is vital for anyone who is in compassion focused therapy or is interested in building self-compassion. It may be a long road to self-compassion, but the journey is worth the outcome at the end! 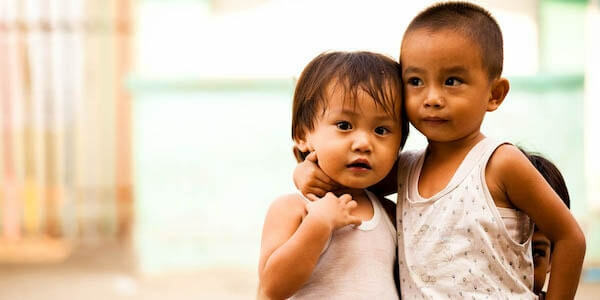 The main Compassion Focused Therapy technique is what is known as compassionate mind training, or CMT. This technique is used to help clients experience compassion and cultivate compassion for themselves and for others (Gilbert & Procter, 2006). The focus is on developing compassionate motivation, sympathy, sensitivity, and distress tolerance, as well as the qualities of non-judgment and a non-condemning attitude (Good Therapy, 2016). Appreciation exercises – these are exercises that encourage the client to savor the activities they enjoy. 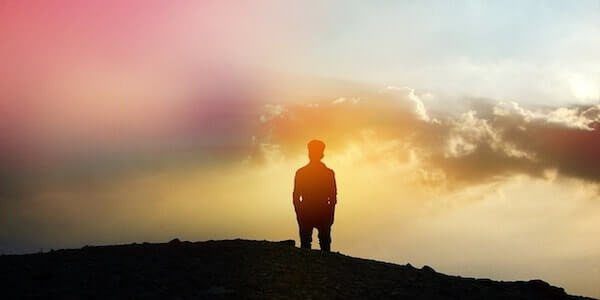 Mindfulness – this is the practice of being aware and observing what is happening both within and outside yourself, in a non-judgmental and objective way. Compassion-Focused Imagery Exercises – these exercises make use of guided imagery to stimulate the mind and provoke the individual’s soothing system (Good Therapy, 2016). CMT is most applicable for people struggling with shame and self-criticism, but just about everyone can stand to be a bit more compassionate with themselves. Compassion Focused Therapy can be applied in many circumstances, including depression, anxiety, and anger. Another useful application of CFT is in eating disorders. Researchers Stanley Steindl, Kiera Buchanan, Kenneth Goss, and Steven Allan (2017) dove into the literature on CFT and eating disorders to find out how it can help those struggling with eating, body image, and weight concerns. They found eating and weight concerns are associated with higher self-criticism and shame and lower self-compassion, a finding that is unsurprising but disheartening. They also found that CFT can indeed be successfully applied to those struggling with eating disorders. The usual treatment is slightly altered to help the client discover how their eating and their emotions have become linked and to help them develop empathy and compassion for their particular issues. While the application of CFT to eating disorders is still new, there is some evidence that CFT can have a positive impact for those suffering. A study by another group of researchers found that clients with bulimia nervosa specifically benefitted from the CFT treatment, while those with an unspecified eating disorder also made progress. A second study showed improvements in outcomes for a range of eating disorders, and a third study found that eating symptomatology decreased after CFT treatment. It makes sense that those struggling with eating disorders would benefit from CFT. It is a therapy that encourages individuals to be more kind and compassionate to themselves, an issue that is often especially difficult for those with eating disorders. Improving their self-confidence and self-acceptance is an excellent way to tackle the other issues they are facing related to their disorder. There are several Compassion Focused Therapy manuals that can help you work through specific issues or simply develop a greater sense of self- and other-focused compassion. This manual from Dr. Russell Kolts is intended to help a therapist or other mental health professional facilitate group sessions on dealing with anger. The manual includes instructions, talking points, discussion questions, and some helpful handouts and worksheets at the end. At 131 pages, this manual is a treasure trove of CFT resources. You can find it at this link. The CFT exercises we described earlier come from this manual, but there are countless other resources, tips, explanations, and suggestions in this PDF to explore. This manual was written by Dr. Paul Gilbert, the founding father of CFT, and includes 82 information-packed pages on CFT theory, techniques, sessions, and worksheets. This PDF can be found here. This resource is actually a slideshow presentation, but it draws on the training materials created by Dr. Gilbert and colleagues to facilitate the treatment of anxiety with CFT. 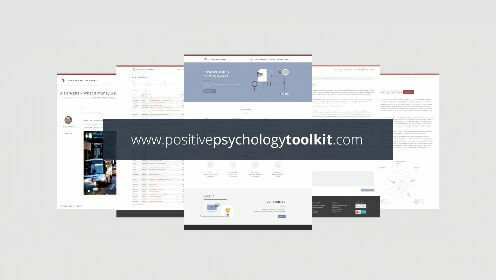 This 33 slide resource will walk the reader through CFT’s background, theory, and applications for helping clients overcome their anxiety. You can find this slideshow at this link. There are many books out there on Compassion Focused Therapy. The four books listed below are some of the most popular, but don’t stop with these if you’re interested in learning about CFT – Google is your friend! This book is a fantastic resource for those interested in applying CFT in their practice. 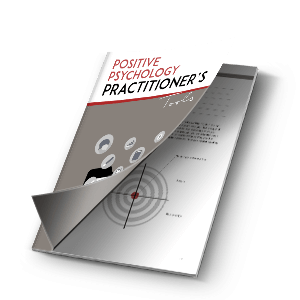 It includes information on the foundations of CFT, the theory of CFT, and tools to help your clients become more compassionate people. If you are considering adding CFT techniques to your work as a mental health professional, this book is a great place to start. You can find it on Amazon at this link. This book by CFT founder Paul Gilbert is more of a learning resource than a manual or how-to guide, making it perfect for students and others who simply wish to learn more about CFT. This book will dive into the research behind CFT, the features that separate it from cognitive behavioral therapy (CBT), and the key principles behind it. This book can be purchased or reviewed here. Another book that is targeted toward the curious and self-driven individuals. It will walk the reader through CFT’s foundations in both evolutionary and Buddhist psychology, the awesome potential of mindfulness, and the harmonious melding of mindfulness and compassion. This book is a great read for anyone who wishes to learn more about mindfulness or CFT as well as anyone who would like to give some of the techniques a try. This book can be found at this link. You don’t have to be a dummy to find this book useful – in fact, you’d be a dummy not to give it a read! This book will describe CFT and the ideas that drive it in addition to providing evidence of its effectiveness. Both curious individuals and mental health professionals will find helpful information on CFT in this book. Click here to view this book on Amazon. If you’re interested in being trained to provide Compassion Focused Therapy to your clients, there are several avenues open to you. We’ll cover the online options later, but here we’ll note the in-person trainings available to those in the US, Canada, the UK, and Australia. If you want more information, the Compassionate Mind Foundation website (US and UK) is an excellent resource for finding training opportunities. For a growing list of CFT therapists and trainers in North America, click here. If you’re quite sure you’d like to train in CFT, you can find more information by emailing [email protected] The Center for Compassion Focused Therapy also provides a comprehensive list of trainings available in North America, which can be found at this page. To learn about training opportunities in the UK, visit this website. The page, from The Association for Psychological Therapies (APT) describes a 3-day CFT training called CFT Essentials. You can also find information about the first Post Graduate Certificate in CFT at the University of Derby by clicking here. For a certificate in CFT, you can attend this professional development course in East London – the most recent course has already finished, but keep an eye out for the next start date. This page from Compassionate Mind Australia lists special events, including trainings and workshops, hosted in Australia, in addition to providing other CFT resources and a blog focused on mindfulness and compassion. An Australia-based CBT website provides information on a CFT workshop in Melbourne facilitated by Dr. Paul Gilbert himself. There are many more ways to obtain training in CFT if you’re comfortable with online learning. You can find information on webinars, online training, and other CFT resources at this website. Click here to find information on online training in CFT, mindfulness, self-compassion, and meditation. You can take a CFT short course from VITA Online Training & Education at this link, although be warned that it is not a free training. Again, if you’d like more information on online CFT training, simply Google “compassion focused therapy online training” and scroll through the results – you will find at least one or two possibilities! This piece covered a ton of information on Compassion Focused Therapy, including exercises, worksheets, techniques, and training. I hope you found this information useful, whether you’re simply a curious reader or a mental health professional who is looking to add compassionate practices to your sessions. What do you think of CFT? Have you ever tried CFT, as a patient or as a practitioner? How do you think building more compassion for yourself and others impacts your life? Let us know in the comments! Thank you for reading, and remember to give yourself some love and kindness today! Gilbert, P. (2010). Compassion focused therapy: The CBT distinctive features series. New York, NY: Routledge. I have been struggling for a while and CFT sounds perfect – do I take this information to a psychologist and ask if they can use/learn/carry out this practice? I studied psychology myself, and found the positive psychology unit very interesting and informative. yes, same with me. deer Courtney, is there any possibility to restore the access? To me, the CFT is a bit of airy fairy. The more I read about it the more my understanding of CFT goes into direction of teaching clients how poor creatures they are, and how, thank to CFT, their life will turn into full prosperity, happiness, love life. I don’t think CFT ever offers to turn one’s life into one full of ‘prosperity, happiness, love…’ There are plenty of therapies and related practices that make a case for that, but CFT is much more about tolerating distress, working with self criticism, etc. Developing a compassionate mind can be transformative, and there is an increasingly body of research to suggest CFT is effective – but its not supposed to be a ‘quick happiness fix.’ As someone who uses CFT with clients, I’d never try and ‘teach’ them that they are poor creatures – not at all, and think this misses the point of the ‘tricky brain’ position. I’m not sure airy fairy is fair to be honest – its been developed by someone who has 30+ years of clinical experience, working with a wide range of clients, and is deeply rooted in scientific research. Courtney, thank you very much! Really very helpful and goods structured material! Begin to practice by myself and with my clients! You’re welcome, Vasiliy! I’m so happy to hear you will be applying these exercises with yourself and your clients. Best of luck! Thank you Anne for all this in information. Do you have any idea if there is training CFT in LatinAmerica? I am from Chile! Thank you so much for this collection of resources. It is truly a treasure! You’re welcome, Anne! I’m so glad you enjoyed it. Thanks for letting us know! I want to become a CFT myself, I m a psychologist, I leave between NZ and Australia. Any training programs in these countries? Hey Janet, I don’t know any programs off the top of my head, but a quick search turned up the Compassion-Based Cognitive Behavioural Training website ( Link). It looks like they offer workshops on compassion-focused therapy on occasion. Perhaps they might be a good source of information! Best of luck. To those looking for more training, the Compassionate Mind Foundation in the UK is the main training/organizing body. They list all their conferences and training opportunities on their website: Link. You can also gain access to on-demand materials by becoming a member of the foundation. The US arm of the program is the one listed by Courtney above. Drs. Dennis Tirch and Laura Silberstein-Tirch are the leads of that group. Russell Kolts is another US-based trained who lives and works out of WA state. Dennis and Laura hosted the first US-based Compassion-Focused Retreat and Summit this year (2018) in April and it was an incredible experience. They hope to hold the event annually, so keep an eye on their website for more information.